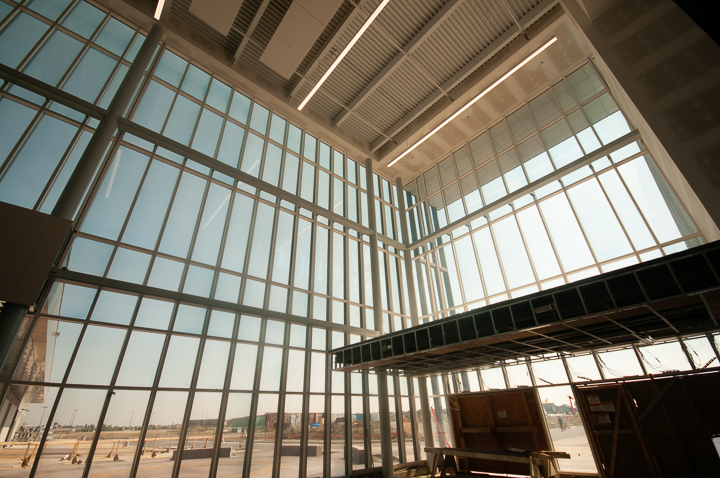 Would you like to receive quarterly ATB Centre project updates via email? 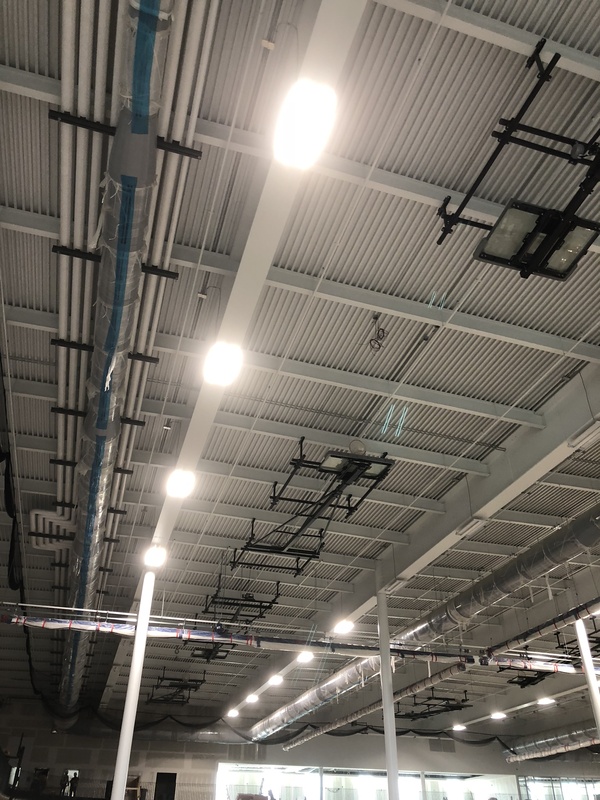 February 2019 - As crews finish up the majority of construction in Phase 2 of ATB Centre, the future home of the Cor Van Raay YMCA, the focus will shift to testing equipment and training staff ahead of the facility opening later this spring. Read full update here. 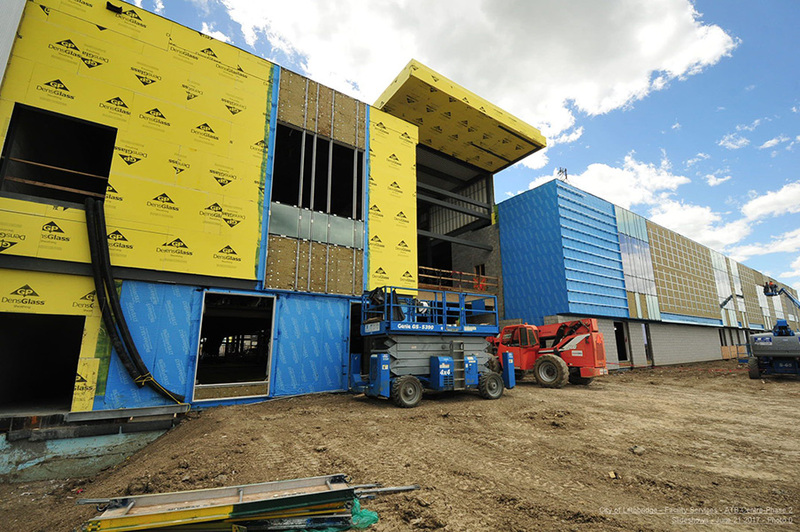 ATB Centre - Phase 2 will be the future home of the Cor Van Raay YMCA. 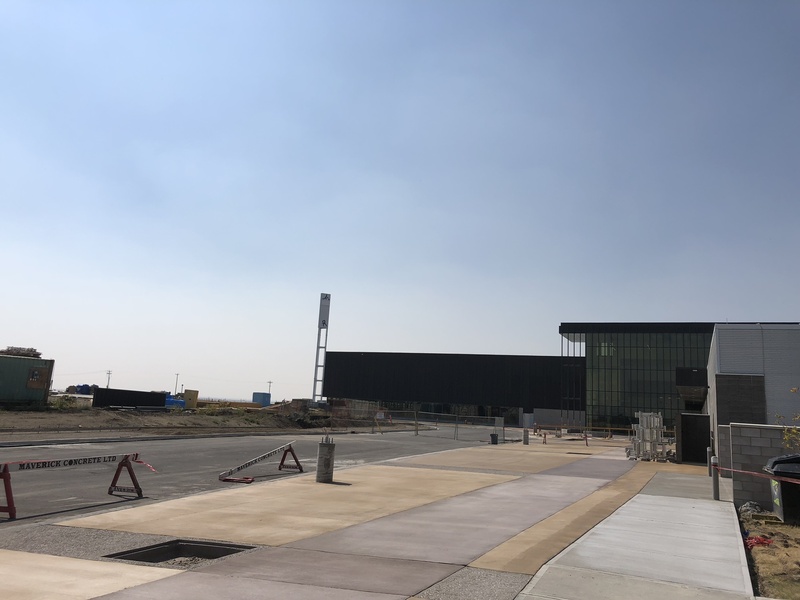 This project consists of the detailed design and construction of the remaining leisure components which will adjoin to ATB Centre - Phase 1, located in the Crossings neighbourhood of west Lethbridge. 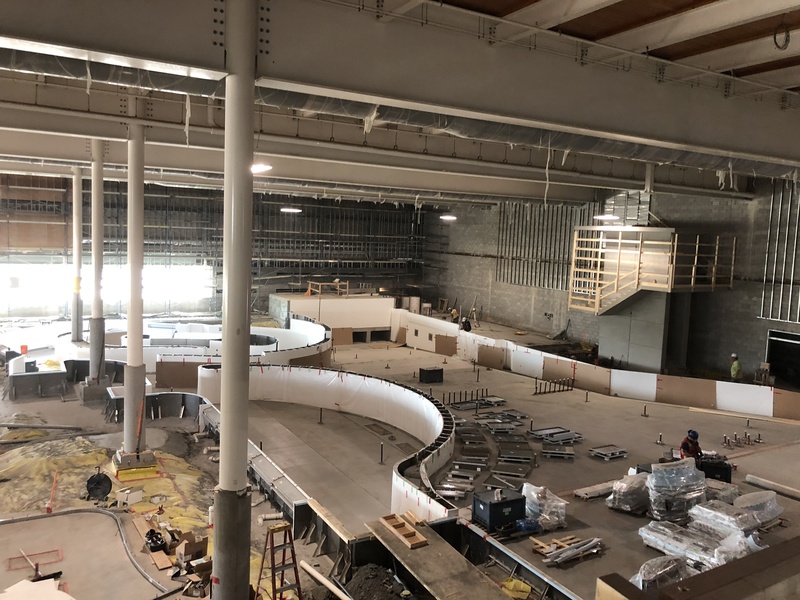 At approximately 256,000 square feet, Phase 2 will include an aquatics centre with waterslides, lazy river and whirlpools, multi-sport field house, fitness centre, indoor track, gymnasiums, child minding area, indoor playground, locker rooms, commercial lease spaces, facility support and amenities. With all components co-located, additional amenities such as food services and retail space are viable and will be part of the design. ATB Centre will be comprised of key program components which were identified through a needs assessment process which included engaging applicable stakeholder groups and the general public. Construction of Phase 2 began in May 2016, and expected to open in the spring of 2019. In spring 2015, stakeholders and focus groups were consulted during the pre-design stage to reaffirm findings in the 2012 Leisure Centre Needs Assessment. Basketball Hoops https://www.lethbridge.ca/living-here/Projects-Initiatives/Current-Projects/ATB Centre Phase 2/IMG_4973.jpeg Basketball Hoops Twelve basketball hoops have been installed in the ceiling of the gymnasium which will house six basketball courts. Exterior https://www.lethbridge.ca/living-here/Projects-Initiatives/Current-Projects/ATB Centre Phase 2/IMG_4986.jpeg Exterior The outside of ATB Centre - Phase 2 with sidewalks and parking lot paving complete. Lazy River https://www.lethbridge.ca/living-here/Projects-Initiatives/Current-Projects/ATB Centre Phase 2/IMG_4974.jpeg Lazy River The lazy river in the aqutics centre is really taking shape. Steel I-Beams https://www.lethbridge.ca/living-here/Projects-Initiatives/Current-Projects/ATB Centre Phase 2/Ashley and Steel Beam.JPG Steel I-Beams ATB Centre Project Coordinator Ashley Matthews helps give us a sense of just how big those steel I-beam roof supports are. Gymnasium a hub for workers https://www.lethbridge.ca/living-here/Projects-Initiatives/Current-Projects/ATB Centre Phase 2/DSC_5389.jpg Gymnasium a hub for workers Equipment, supplies and people fill the gynamsium as crews work on the interior finishings. View Dynamic Glass https://www.lethbridge.ca/living-here/Projects-Initiatives/Current-Projects/ATB Centre Phase 2/DSC_6978.jpg View Dynamic Glass The massive windows in the front of the building are all made out of view dynmaic glass which means it will tint with the sun to reduce glare and save on cooling costs. 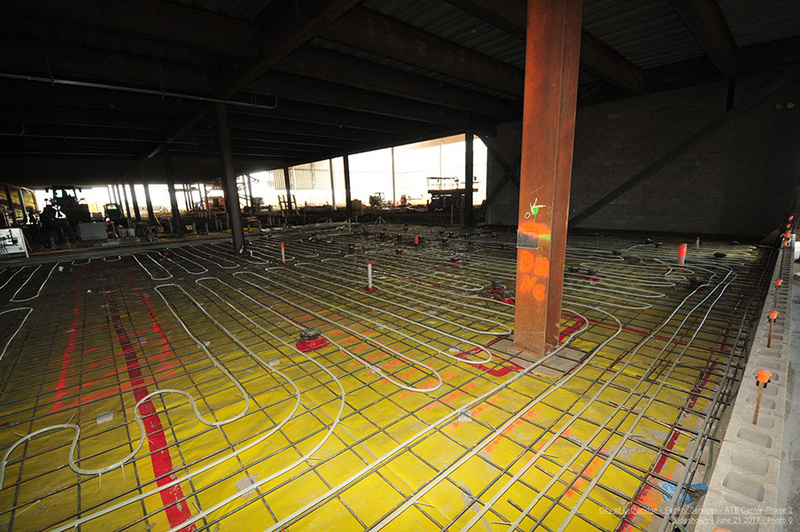 Heated flooring https://www.lethbridge.ca/living-here/Projects-Initiatives/Current-Projects/ATB Centre Phase 2/Heated floor 2017-07-07.jpg Heated flooring The heated flooring being in stalled. 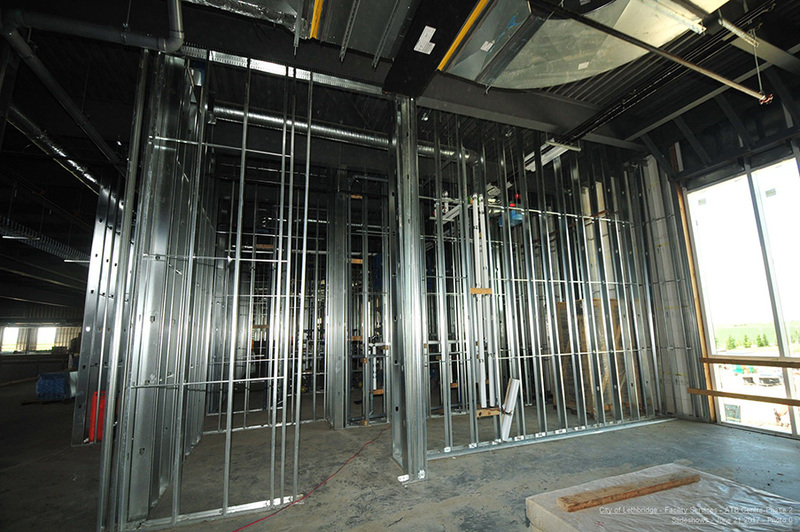 Framing https://www.lethbridge.ca/living-here/Projects-Initiatives/Current-Projects/ATB Centre Phase 2/Rooms 2017-07-11.jpg Framing Rooms are forming as the framing takes places. Foundations and steel https://www.lethbridge.ca/living-here/Projects-Initiatives/Current-Projects/ATB Centre Phase 2/South wall foundation.JPG Foundations and steel Steel structure is taking shape at the north end of Phase 2, and foundations have been poured at the south end. At about 256,000 square feet, ATB Centre-Phase 2 will roughly twice the size of Phase 1. Start of Track https://www.lethbridge.ca/living-here/Projects-Initiatives/Current-Projects/ATB Centre Phase 2/Track 2017-07-11 (3).jpg Start of Track The inital shape of the running/walking track along the outside of the gymnasium. Wave Generator https://www.lethbridge.ca/living-here/Projects-Initiatives/Current-Projects/ATB Centre Phase 2/Wave Generator.JPG Wave Generator The wave generator is being installed at the south end of Phase 2 where the leisure aquatic centre will be located. Entry way https://www.lethbridge.ca/living-here/Projects-Initiatives/Current-Projects/ATB Centre Phase 2/DSC_6974.jpg Entry way The entrance to ATB Centre - Phase 2 will be grand. December 2018 - Although there is no firm opening date yet, construction at ATB Centre is still expected to be complete for a spring 2019 opening. ​​​The surfacing for the track, gymnasium and field house has been installed. 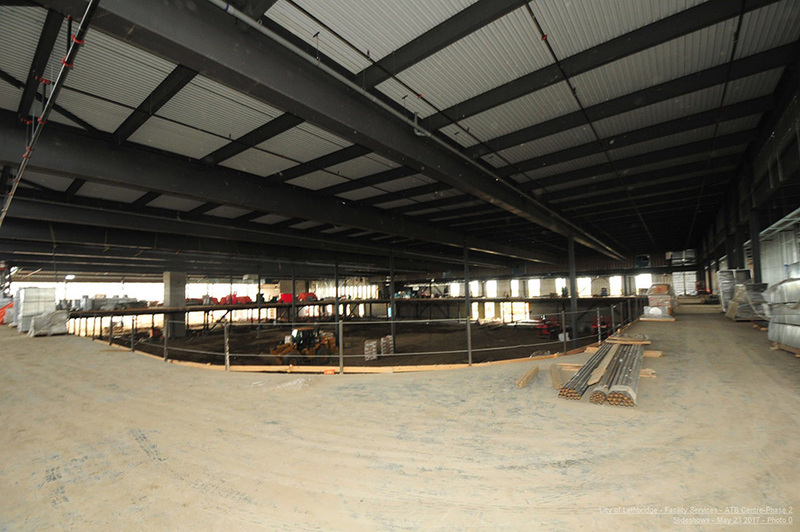 The liner in the lap pool is being completed and crews will then move to installing the liner in the leisure pool. Tiling is underway in the pool area. Flooring is being installed throughout the building. A good portion of the landscaping work has also been completed including the asphalt and concrete work around the building. 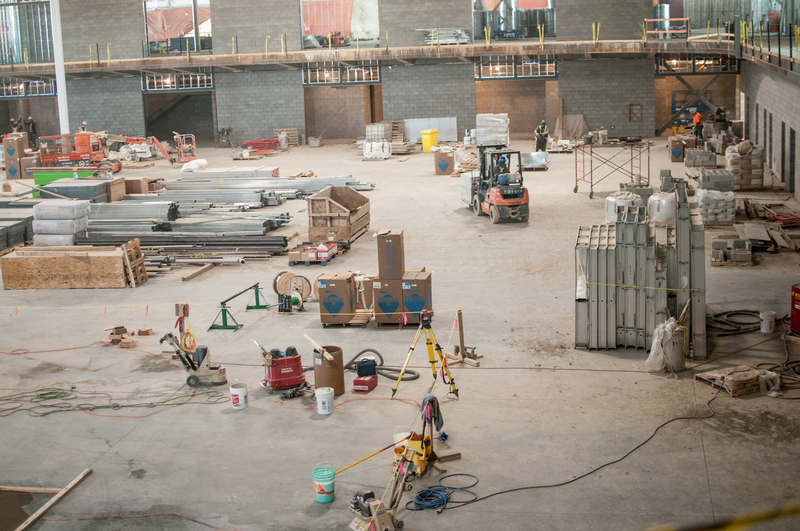 In the New Year, furniture and fitness equipment will be moved in. March 2018 - City Council approved two public art pieces for ATB Centre Phase 2. This project includes a series of paintings for the galleria walls in the atrium and gymnasium. These original paintings will express conceptual and spatial dynamics in art, architecture and sport. This mural concept for the Aquatic Centre is based on transparent properties of water and light, weather, surface and familiar as unfamiliar. The equation of bringing the outside in and taking the inside out, invites observations near and far. January 2018- Here's the latest construction update from ATB Centre Phase 2. September 2017 - City Council approved an agreement with the Lethbridge YMCA to operate ATB Centre - Phase 2, the future home of the Cor Van Raay YMCA. Visit our News Centre for more details. Summer 2017- As we move into the summer construction season, things are really heating up at ATB Centre – Phase 2. 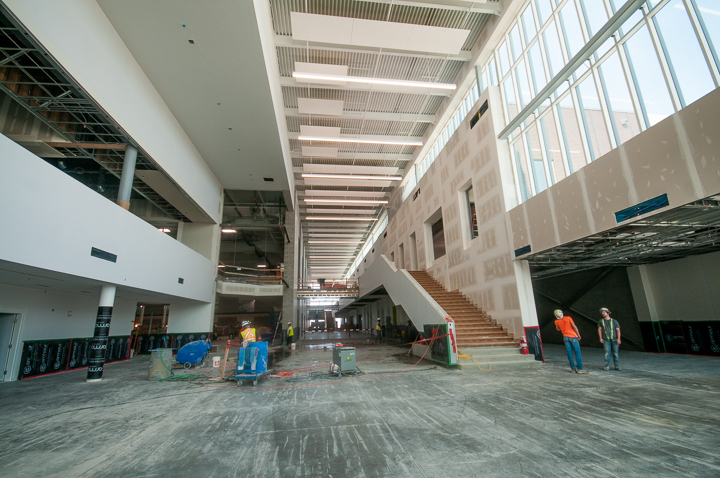 With the majority of the concrete work completed, spaces are now being defined with framing and the installation of windows. Many trades are on site on a daily basis including plumbing, electrical and HVAC specialists. On any given day, there can be up to 150 workers on location. In the facility change rooms, in-floor heating is being installed. These will be very energy efficient as they will run off waste heat from Phase 1. In addition to the physical work moving forward, design work also continues. The finalized plans for the indoor playground are taking shape and are expected to be completed this month. October 24, 2016 - Phase 2 construction is on schedule and off the ground - literally! Initial site grading, most concrete foundation footings have been poured, and the structural steel is now taking shape. Most structural steel is expected to be installed by the end of December 2016 for the exterior footprint of Phase 2 (vertical columns, floor support beams and roof beams). July 20, 2016 - The City of Lethbridge and ATB Financial officially announce that the new name of the Crossings Leisure Complex is ATB Centre, under a naming sponsorship agreement. May 13, 2016 - Construction of Phase 2 officially launched with a groundbreaking ceremony attended by local MLAs, City Council members and other partners. September 17, 2015 - Lethbridge residents invited to open houses Sept. 22 and 23 for a closer look at the design layout and planned features of Phase 2 of the ATB Centre, one of the most anticipated recreation facilities in the city's history. These open houses provided opportunities to learn about the layout and features of the facility, to view floor plans and architectural renderings, and to ask questions of the project teams. February 2, 2015 - Contract for construction management services awarded to the highest-evaluated, lowest-cost proponent Stuart Olson Construction Ltd. of Calgary. In addition to overseeing construction and tendering out sub-trades, the construction manager will work closely with the design team to identify and troubleshoot issues during design stage which helps minimize delays and added costs later, during construction. December 8, 2014 - Architectural team chosen for detailed design work. The $5.4-million contract for design and consulting services was awarded to the highest-evaluated and lowest-cost proponent, Diamond Schmitt Architects, of Toronto, ON, in association with BR2 Architecture, of Edmonton, AB. August 5, 2014 - City Council amends the Capital Improvement Program (CIP), expanding the aquatic project to include all remaining components of multi-purpose leisure complex. The 2013 Recreation and Culture Master Plan identifies leisure complex components as the number one ranked priority of the community. To understand community needs and gaps in level of service, a significant amount of stakeholder and public input was gathered. Community consultation was used to gauge the level of support for the proposed leisure centre and identify the components required by the community. Stakeholder groups were very supportive of the concept of a leisure centre while the level of public interest and support was also very high. Feedback from the public engagement process confirmed that existing facilities were not meeting current demand in the community due to lack of facilities and/or functionality of current facilities. In addition, community consultation included meetings with organizations currently operating public recreation facilities in the community. These organizations indicated that their facilities are near maximum capacity and that their ability to offer expanded opportunities for the community is limited. Total projected budget for this project is $109,550,000.